Home/Blog/How Thinking Intelligence Can Be Helpful For Creativity? Thinking intelligence and creativity are both characterised by originality and being able to incorporate information in a contemporary manifestation of truth. Both the terms creativity and thinking intelligence are intangible concepts. When we try to describe thinking intelligence and creativity in our own words, everybody might have a different concept. According to Random House Kernerman Webster’s College Dictionary intelligence is defined as the capacity for learning, reasoning, and understanding. Creativity is the ability to employ creative abilities to existing circumstances. When both of these skills combine individuals can easily confront extreme obstacles and still be able to find a solution in those extreme consequences. This can help them to achieve success in the face of competition. Creativity and intelligence can also be used in negative aspects. To understand how are thinking intelligence and creativity related let’s look at the differences first. 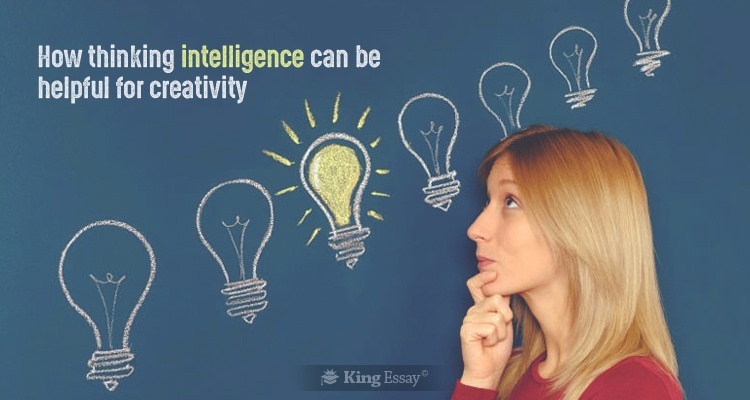 Both intelligence and creativity are cognitive abilities. Intelligence can be related to a specific topic and help a student in becoming a teaching assistant. It is a general skill which can be learned, taught and even evaluated. Creativity is also a cognitive function but it is completely different from intelligence. To quote the words of Albert Einstein, “The true sign of intelligence is not knowledge but imagination”. Creativity employs both imagination and intelligence to bring about a completely new perspective to age old questions. Creativity can be either negative, as in the case of an evil genius, or positive, as in the case of a contemporary mastermind. Knowledge in raw form is known as information. Intelligence is the capability of understanding information. Applying that information involves the process of evaluation. Writing a thesis the author must employ similar tools of evaluation to filter the information based on the subject of the dissertation. The final writing will be more efficient depending on a more rigorous focus on the subject. Similarly, as in the case of individuals a person may be highly intelligent based on a certain topic, which is of particular interest to the person. That same person could also be completely unaware on a different subject. As the saying goes, knowledge is power, is completely true. The limitation remains that a person cannot achieve perfect knowledge or information on all subjects since, the world is constantly changing. Creative thinking, the ability to come up with new ideas, or imagination produces new hypothesis that are highly valued by research and investigative organisations. Creativity employs the evaluation required for intelligence and the strategic intelligence of knowing when to apply which information at precisely which intersection of time. A personal statement writing service UK must creatively deal with both client’s demands and employer’s requirements. Creativity comes in handy especially if a person ends up in a tricky situation. Creative people will be able to overcome physical and mental obstacles employing creative new techniques must faster than their unimaginative counterparts. Creativity can also be used to achieve negative motives such as in the case of the infamous con artist Charles Ponzi. It all depends on the individual’s personality and the circumstances which will become a deciding factor whether it is being used for positive or negative significance. An economics personal statement employs information related to the candidate’s personal characteristics and also presents a positive image. Creativity and thinking intelligence combined have the power to overcome both academic hurdles and various barriers in life. It applies information gained from experience and the ability to come up with new ideas, to solve problems. Intelligence will be dependent on knowledge to make the right decision in the first attempt. Creativity is not dependent on intelligence nor on information, it purely stems from a single idea. That idea could be of a child or even an adult.